There are two ways to make popped popcorn. First, the popcorn can be popped with hot air. 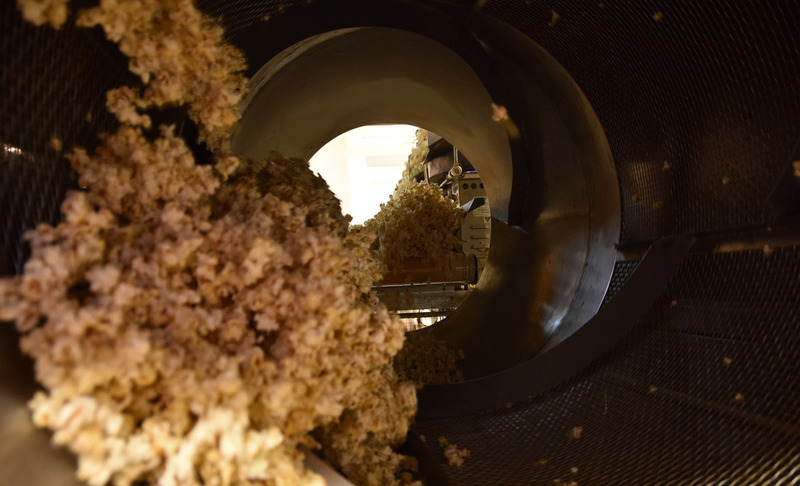 The raw kernels of corn are fed into a large oven. The corn flows through and the kernels burst into crunchy flakes. Then oil and salt or other flavouring are sprayed onto the popped corn. The second way to pop corn is in kettles in oil – so called "Wet Popped" or "Kettle Cooked. "Here the corn is popped in stainless steel kettles in oil. The constant sound of popping brings memories of the cinema. Kettle cooked corn can be either salted or sweet. Using sugar is particularly pleasant. The sugar browns on the surface of the popped corn, a natural carmelization. 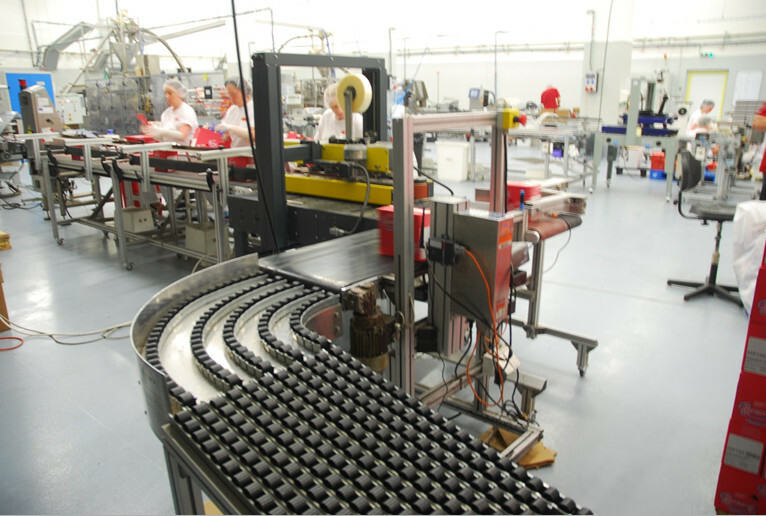 Yes, you can smell the wonderful scent in our production. The two types of popping result in a different texture and appearance. The air popped is suitable for low calorie products because a small amount of oil can be applied and the corn does not absorb the oil during frying. The oil remains on the surface. Wet popping recreates the taste of popcorn prepared at carnivals, circuses, etc. 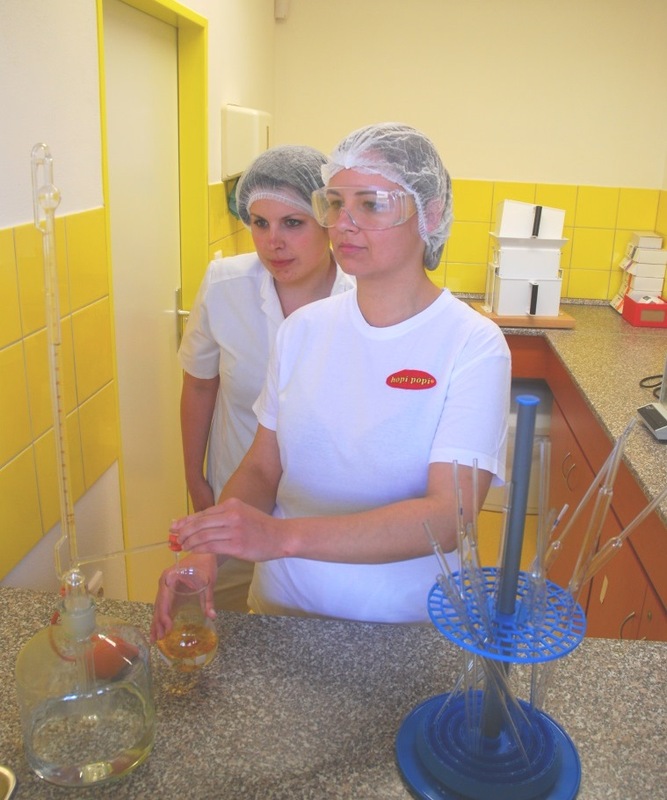 For both types of production we use locally grown rapeseed oil and sunflower oil. After the popcorn is popped, those little unpopped kernels need to be sifted. The corn enters a stainless steel cylinder that spins. As the corn spins, the unpopped kernels fall through a metal sieve. All of this must be done gently so the popped corn doesn't break. After this the corn, whether air popped or wet popped, is packaged immediately to maintain its freshness. Packaging popcorn is not easy – each piece is a little different and does not weigh the same. Making a 100g bag by hand takes time and would always be inaccurate. So how does the popcorn world solve this problem? 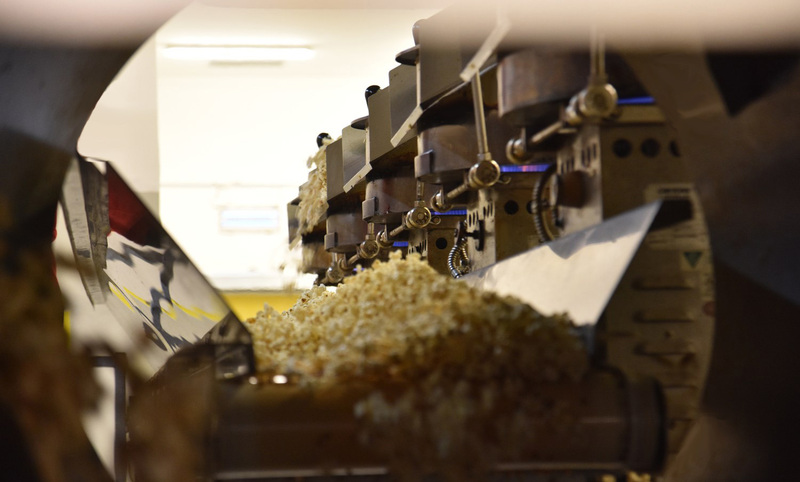 Software in the weigher of the packaging machine constantly weighs each piece and chooses which popcorn goes in the bag to meet the required weight. It makes these decisions in split seconds.